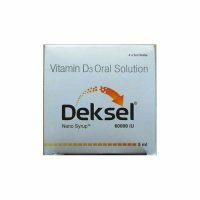 View cart “Deksel 60000 IU Syrup 5 ML” has been added to your cart. It combats cough and cold, cures sore throats, relieves respiratory disorders and bronchitis. Main ingredients of Dr. Honey. Honey is used to treat irritating cough. It soothes the inflamed mucus membrane of the upper respiratory tract and relieves irritating cough symptoms that leads to difficulty in swallowing. It removes catarrhal matter and phlegm from bronchial tubes. Used as a preventive for respiratory disorders and coughs. The herb is also useful in the treatment of respiratory system disorder. A decoction of the leaves, with honey and ginger is an effective remedy for bronchitis Goodcare Dr. Honey , asthma, influenza, cough and cold. A decoction of the leaves, cloves and common salt also gives immediate relief in case of influenza. Vasak is used to treat bronchitis effectively, clears thick sputum and helps breathing. Ginger expels phlegm, relieves nausea and clears toxic matter from the body. It prevents allergic and antibacterial infection in sore throats and respiratory tracts. Goodcare Dr. Honey is an Ayurvedic supplements. It is a honey based herbal cough syrup. Very effective for throat irritation and all kinds of cough. Helpful for all types of respiratory disorders of adults and children. It is free from side effect and drowsiness. For Child : 1 teaspoonful twice daily or as directed by physician. For Adult : 2 teaspoonful twice daily or as directed by physician. Ayurveda has been known as the oldest medicine system, with its roots tracing back to the Vedic culture of India. Although suppressed for some time due to foreign medicine, it has now branching its roots all around the world. More people are now reaching towards Ayurveda because of its natural healing background.So, TabletShablet brings to you the best Ayurvedic products brand at the comfort of your homes. GoodCare provides herbal, probiotics, antioxidants, nutraceuticals and phytonutrients products. It aims to include traditional Ayurveda knowledge to latest techniques of science. They are authentic, quality products and have no side effects.There are wide variety of GoodCare Products available at our website that ranges from spirulina plus to different tea. All of its products are genuine, herbal and can be easily transported at your doorstep. Good Heart are herbal cardio protector capsules that reduce palpitation, cardiac pain & breathlessness. Enriched with 100% natural ingredients like Garlic, Arjun Chall, Nagkeshar, it helps to normalize blood pressure and lower cholesterol levels.GoodCare Nightzz are capsules to restore normal sleep patterns by reducing stress, fatigue. Its natural herbal ingredients Brahmi and Sarpagandha, helps you to relax to normalise your sleep and keep you fresh at mornings. 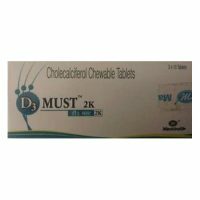 It revitalises brain and nerve cells without being addictive and sedative.Excess weight causes some serious health issues. Yet, dieting is not a safe solution as lead to protein oxidation (Getting Fat after stop dieting). GoodCare Sliming Tea provides a safer and better alternative for getting slim. Its natural components like Punarnava, Guggulu, Haritaki, Garlic, Dry Ginger, lowers blood cholesterol and accelerates energy metabolism in the body. 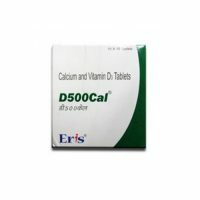 The product ensures no side effects.